It seems no release of the FIFA rankings can go without widespread scoffing in England. 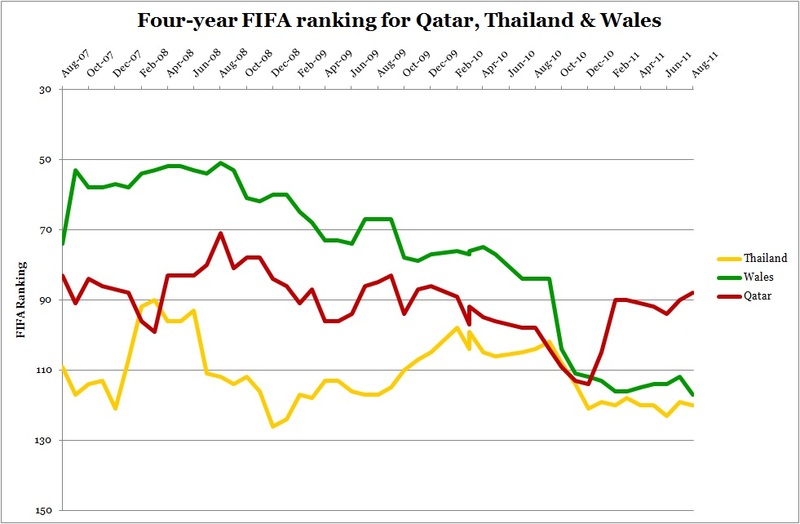 The system has consistently overrated the national team, and appears equally flawed in assessing other top nations. The rankings are used as a stick to beat the much-maligned governing body; it’s a sign of their overwhelming incompetence. Yet there are a couple of points to make about the rankings, points that suggest the system is not a wholly pointless exercise. Firstly, FIFA are very careful not to name the leaders of the rankings as the ‘best’ team in the world; their latest release claims a “change of leadership”, and that the Netherlands are only the seventh team to “sit atop the global ladder”. Clearly, there’s a distinction to be made between a team having the best results – the measurement used by FIFA – and a team being the best in the world. The latter is merely subjective, much like a debate over the best player in the world. And unlike a league system, where the best team typically wins the most points, the FIFA rankings do not pit all teams against one another. And so on. The difference in quality within each band is largely insignificant (though you could perhaps still argue England are a group too high); it strikes me that this is a better way of looking at the rankings. 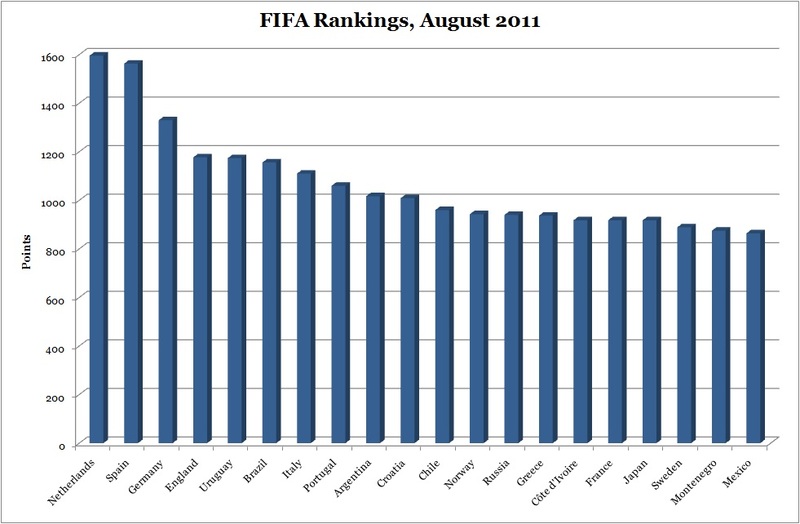 Since its introduction in August 1993, the FIFA/Coca-Cola World Ranking has become a regular part of international sports reports and an important indicator for FIFA’s member associations to find out where their respective teams stand in world football’s pecking order and how they are progressing. Take Wales for example. No one can argue (see below) that Wales are in severe decline at the moment, confirmed by being placed in UEFA’s bottom seeds for last month’s World Cup qualification draw. The rankings confirm this, but they also act as a reference point for the Welsh FA; an improvement to 50th in the world would confirm a complete recovery. The graph also highlights Thailand, who between September 2008 and June 2011 had English coaches in Peter Reid and Bryan Robson. Thailand, who rarely do well or qualify for the Asian Cup, let alone the World Cup, need the rankings to understand their team’s position in the world game. Under English coaches they improved but fell away, and didn’t threaten their four-year high ranking of 90. Again, whilst results may have suggested this, the rankings confirm a stagnation. And finally 2022 World Cup hosts Qatar need the rankings to assess the progress of their national side leading up to the tournament. A consistent rise will be a small start to justifying December’s decision. 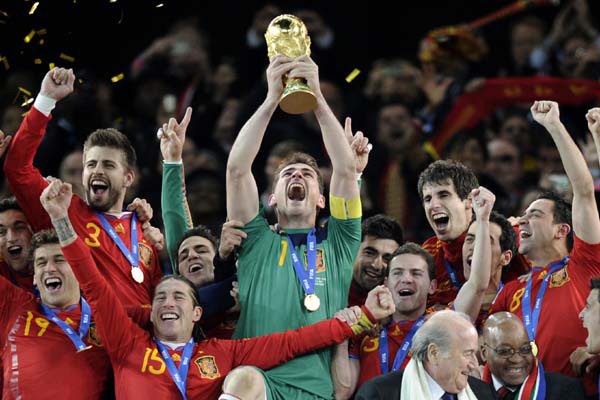 Some suggest the Elo Ratings system as a better alternative – and maybe it is – but the FIFA rankings are not just about the top national teams. Smaller nations use it as a useful indicator for progress, whilst it’s also important to look beyond the rankings and see the actual points for a more complete picture. ← Should Man City be concerned by their European scheduling? The problem with ranking systems like this is that you can only judge by results, and the teams can only play the opposition teams that are put in front of them. In the grand scheme of things, most international teams play very few competitive matches. Only in South America do they all play each other a couple of times during qualification (plus Copa America every 2 years). On top of that, tournament football is very randomised and gives even less of an idea of how good certain teams are – I actually thought Spain were generally quite average all the way through the World Cup last year and the Dutch, over the course of the tournament, were the “better” team and were only defeated in the dying moments of extra time after having had a man sent off. Extra time and penalties all feature prominently whereas they normally wouldn’t, and tournaments give freak events (dodgy refereeing decisions, smash-and-grabs etc) more importance as they’d otherwise be averaged out over a league season. If you take each continent individually, the rankings are probably quite accurate, but put that on a global scale and they’re all out, because the way it pans out puts the teams from the “lesser” continents too high. I know Wales are in a bad way right now but I still think they’d beat Sudan and the Central African Republic over 90 minutes! I think you’re spot on about everything there, particularly on the rankings within individual continents – that should perhaps be the strongest guide to national associations as to where they’re at/heading. You make good points. Only a correction, though. The Copa America hasn’t been held every two years since 2001. Right now, it’s scheduled to happen every four years.